Say it loud. Say it proud. 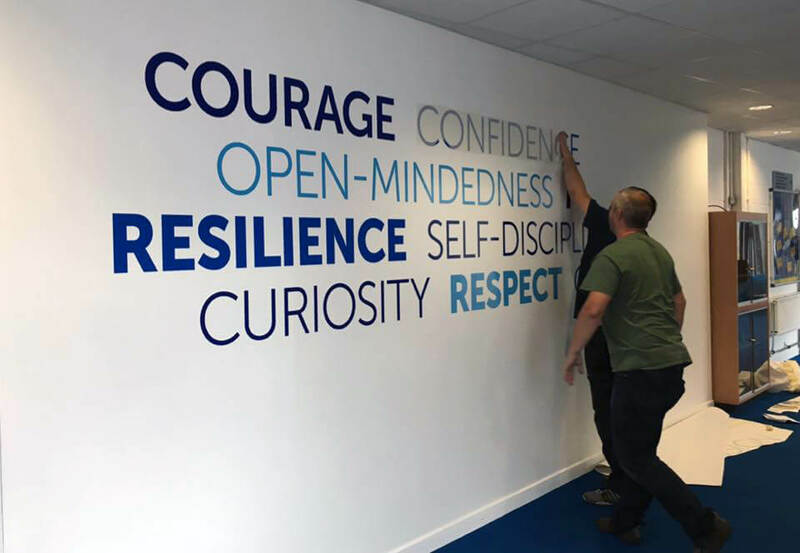 Our vinyl wall graphics being installed in a school to help establish values among students and stakeholders. 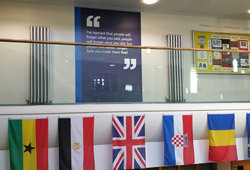 Clean, crisp laser cut vinyl was applied to a 6 metre long wall in the schools busy reception area. Our vinyl decals can be cut to any design and in a wide range of colours and finishes – they are a cost effective and quick solution to messaging and work particularity well on large glazed areas and on school vehicles. Good design and messaging engages students, staff and stakeholders. 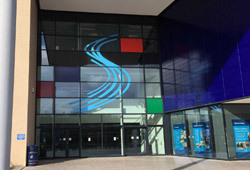 The values here are used to communicate the schools values through its prospectuses, website and wider marketing.